This is an old one. We’d posted this previously about four years ago, despite all of its numerous flaws. It’s almost criminally sentimental. Someone made a listing for it on Goodreads, and a reader emailed us and asked where she could read it. I tried to restore the old post, but it’s not behaving. Sorry to those of you who already read it. Like I said, it’s an old one, written before Magic Bites was published. On the plus side, I will add it to the search page, so it can be easily found. The everything drawer jammed, one-third open. Marina rattled it, trying to shake loose whatever kept it from sliding out. In less than thirty six hours the entire family would converge on the house. The kitchen looked like a war zone, the living room was a mess, and she still hadn’t purchased the Zinfandel to marinate the leg of lamb. The garlic cloves had sprouted too, so she would have to pick up some. The drawer resisted shaking. Exasperated, she stepped back, crossed her arms on her chest, and glared at it. “What did you break?” Gregory asked from the living room. No time to investigate it now. Marina tossed the key back into the drawer and rummaged through its contents. Screwdriver, Scotch tape… In her present state of mind, opening the can “the other way” wasn’t a good idea, not unless she planned on cooking the pumpkin pie straight in the can. A bamboo skewer, a small blue key again… Her fingertips brushed the key and tingled slightly as spark of power shot into her skin. “And how’s my favorite niece?” The sheen of warmth in Lilian’s voice was too thin to fool her. She had bought into it when she was a little girl. She used to love to visit Lilian, until she figured out that all her aunt wished to do was to show off her pretty bright niece to her friends. Like a cute dog that does charming tricks. In the living room Gregory raised his head from a page of nuclear physics equations long enough to roll his eyes. “I’d like you to know that I’m putting fifty dollars into the birthday account,” Lilian announced. “You don’t have to worry about desert. I’m making chocolate cake,” grandmother announced. The memory of last year’s grandma-made Napoleon thrust herself before Marina and she nearly gagged. “Yeah, grandma, she doesn’t put rancid sour cream into hers!” Gregory yelled. She pushed the button and was greeted by the disconnect signal. Once again, Lilian had outmaneuvered her. Now she would have to make the chicken. And she still hadn’t found the can opener. Gregory wandered into the kitchen and picked up the can of pumpkin mix. She felt him concentrate on the seal. A thin invisible tendril of force stretched between her brother’s eyes and the can like a taut fishing line. The can turned slowly on the tip of his finger and the seal peeled itself from its top. She took the can from him and dumped its contents into a metal bowl. Something clanked. “You do.” She thrust the can of evaporated milk at him. He peeled off the lid and she dumped it into the pumpkin mix. “I don’t do it for them. I do it for grandmother,” she said. “She’s old and insecure, Gregory.” Marina snapped the carton’s lid open. She glared at him. Hairline cracks crisscrossed the egg tops. He went into the living room. She picked two eggs from the carton and cracked them into a large bowl. The worst part was that Gregory was right. It was about the house. She loved that house. Grandad built it from the ground up. They played in it as children. From spring to mid-fall, she spent most of her weekends out there maintaining the garden and the two dozen fruit trees. And now Lilian, who couldn’t tell an apple tree from a walnut, was going to get it all. Marina took a deep breath. It wasn’t any use to get herself worked up. Yes, she could’ve sucked up to Grandma and gotten the house, but in the end, it wouldn’t be worth it. She plugged the mixer in and turned it on. Metal rang as the blades caught something. She shut the mixer off and fished in the pie mix with a spoon. 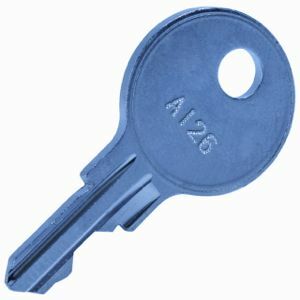 The blue key. Marina plucked it from the mix and rinsed it under the water. She could’ve sworn she had put it back in the drawer. “Now how did you get in there?” The key glistened with indigo highlights. When she was a little girl, she used to watch the stars, wishing for one to fall into her bedroom. That’s what it would feel like – warm and comforting, kind of lit from within. Later, with the pie in the oven and the sweet scent of pumpkin spice permeating the house, she went to see her brother. He made a show of not noticing her standing next to him. He licked the edge of the key blade. “Attic,” he said. “You don’t want me to take the pie out?” Little devilish sparks danced in his eyes. She took herself to the narrow staircase and climbed it to the attic. Marina pushed the trapdoor open and hoisted herself onto the dusty boards. An odd mishmash of items surrounded her. A triangular window spilled sunlight on the narrow strip of the floor, the only space that had been spared from being filled. She sat on the floor, not caring about dust clinging to her jeans, and watched the dust bunnies dance in the light. She had once asked Mom about the attic. “It’s a place where you put non-essential things,” she had said. Now their entire history sat crammed into this attic. The first year after Mom died, she used to come and cry here, where Gregory couldn’t hear her. The ache came to her now, familiar and merciless, like an old vicious enemy. She pushed herself from the floor, in a hurry to get busy before the pain could sink her teeth into her and rip open a healed-over wound. The key was too small for the dozen trunks in plain view. It had to go to something small. Like a jewelry box. She crawled over a large box and stumbled onto the wooden trunk which she knew held her college papers. She flipped open the lid and ruffled through the stack of printed paper. “The Role of Retrosynthetic Analysis in the Design of Heterocyclic Synthesis.” “The Role of Women in Early Plantagenet Dynasty.” Why do I keep those, she wondered, touching the red mark of 96% in corner. The answer came to her from the faded ink of half-forgotten formulas. As long as I have them, I might go back. But that would be later. After Gregory graduates. Marina opened her hand and looked at the key. It lay in her palm like a ray of blue light. She touched it with the tip of her left index finger and felt the force pulse from her. A dozen white pinpoints of light appeared and danced in the metal, illuminating the key from the inside out. They shimmered and shifted, and finally aggregated in the tip of the blade. “Let’s play the game.” Marina smiled and leaned forward. The lights shifted to the left. She turned until they were again in the tip. Forward, right, lean over, a little more to the left… There it was, under a box, a thick volume bound in leather. She pulled it free and blew the dust from the cover. A small lock held the book closed. No title. How odd. Oh, well, there’s one way to find out what it is. She eased the key into the lock and it turned on its own. The flap of leather holding the volume closed fell aside; the pages rustled like birds locked in a cage, fighting to get out. Gently she opened the cover and gasped as familiar warmth cloaked her. Old power swirled from the pages, comforting and overwhelming her, and breathless, she sat in its whirlpool. A photograph graced the first page – a man larger than life, grey hair stark in contrast to black bushy eyebrows, shoulders spread wide. So much looked at her from that photograph – strength, and pride, and kindness. Her eyes filled with tears. “Grandpa,” she whispered softly. “It’s grandma’s birthday,” she murmured, not sure what to say. “Thank you,” he said. “How is she holding up? The pages turned. “Look here,” he said. A large photograph occupied the page. Two people laughing. A woman with hair like honey streaming down her back. Hot eyes on a lovely face. A man next to her, skin tanned to bronze, arm wrapped around her shoulders, not possessive but guarding gently. And above them a griffin diving off a head-dizzying cliff, a streak of gold against the red mountain. It drew her like a magnet – so much might focused into a single plunge. Marina touched the golden feathers and felt the speed, the wind tearing at the wings, the ground rushing at her with terrifying velocity. And her heart sang with an unbelievable thrill. “Yes, I remember.” How could she forget? The power her family had wielded was a part of their life, as routine as driving a car or baking a pie. But the griffins falling from the mountain like a golden waterfall, falling so fast, committed so totally to their plunge only to sweep along the ground and soar above it all – that was magic. “She stayed behind so I could go. I never knew…” she whispered. “You don’t resent her, do you, sweetheart?” he asked. She looked one more time at the couple in the photograph. “You were so young,” she whispered. “I better go,” she said, wondering if her heart would break. She closed the book gently. She told Gregory that night over the evening coffee and salami sandwiches. “They’ll skin you alive,” he said. In the morning she met them on the porch. They came at the same time, as if afraid to arrive too early. She watched as they parked their cars and approached the porch, her aunts, uncles, cousins. It struck her how put out they looked, as if distressed to be here. “Are we early?” Lilian asked. “Where is mother?” Ashley asked, her eyes searching the yard. “She is enjoying her birthday present,” Marina said, crossed her arms on her chest, and smiled. They declined to stay for dinner. Marina saw them go and sat down on the porch with a cup of hot cider in her hand. Above her the sky was gold with sunlight. She looked at it and thought of golden griffins. No wonder Gregory didn’t understand. He never saw them. He never felt the freedom they brought, but she had, and the memory lived in her, its beauty so sharp it hurt. It sliced through the fog of time, clear as a crystal shard, and no matter what life brought, that memory was hers to cherish. A gift beyond measure. Marina smiled and sipped the cider. Funny how people you think you know can surprise you. Miles away, Gregory helped his grandmother step off the train. He led her past the station house to the stone trail. They walked along the curving path, guarded by a metal rail. The path turned and she fell silent. A great gorge lay before them, a crack in Earth’s armor. A silver river wound its way along the bottom like a glittering serpent. Red cliffs cradled the water, scraping the sky with their edges. Gently he led her onto the tall bridge that sliced across the gorge and found a good spot at the rail. Wind rushed through the chasm and fanned their faces, and they breathed in the moisture of the river and the heady honey scent of melaleuca that sheathed the valley lapping at the cliffs’ feet. So ethereal and insignificant was the bridge compared to the colossal vista before them, that it was as if it didn’t even exist and they stood suspended in mid-air. High atop a red cliff, a golden griffin spread its wings and cried out a hoarse greeting. Gregory heard her gasp and gently put his arm around his grandmother. The majestic beast teetered on the edge and took the plunge like a living flame. It dived and turned at the last moment, defying gravity with its mighty wings, sliding along the ground and then surging up and up to soar, free and unbound. Grandma gasped. Gregory hugged her tighter. Others followed the first, wings spread wide, amber eyes hot with magic. The old woman leaned against her grandson and watched as the mountains wept golden tears matching her own. I had not read this piece of genius before. It was gorgeous and poignant. I loved it. I hope this means that someday you will finish it. I agree with everything 30 said. Thank you for re-sharing!!! N I C E ! but where is the end? I really need more of this story. So beautiful. It’s feels as if it needs finishing. I love it. I don’t understand what you don’t like. Thank you for sharing. Well it’s a great piece m So now I’m sure everyone will want continuation f it. It is finished. And quite exquisitely so. I am so glad that you reposted this. Thank you. I agree, the ending is superb, showing a true masters touch. Absolutely beautiful. Your stories always hold me spellbound to the last word. thank you for posting it again. Thank you for reposting. I had not seen it before, and enjoyed the poignant ending. And … my eyes are tearing up because of the onions I’m peeling! Seriously. Breathtaking! Your writing is so visually clear and precise that you take us to those places in our minds. When done reading it’s sometimes sad because one wishes those places existed in reality. Your writing therefore is a blessing. This reminds me of the first book I ever read at 13 that took me to another place and then crying about it afterwards in my grandmother’s living room because that world did not exist in reality. It was the world of dragons as written by Anne McCaffery, The Dragons of Pern series ( I prefer the first few in the series). Anyway, thankyou for taking me to another poignant place today. Good luck with your release and I hope everyone e in the family is well. Cheerio ! Even if Lillian gets the house it won’t matter, because she got something more precious than the house…The Griffins flying and now she was able to return the favor and give the gift to her Grandmother. I often feel like your guys’ writing is a little bit magic, too 🙂 Thanks for this! WOW! What a touching piece! I love it. Is it published anywhere else besides here? I agree with the others – you write magically. So sweet the ending. There doesn’t need to be any more. Now more stories with Marina and Gregory would be fun to read. They seem like interesting characters in an interesting world. I remember reading this back around Magic Burns but didn’t remember the title. It’s been long enough to be a new read. Damn I feel old. I have a love affair with doorways. They are magic places that don’t always take you where you think you are going. A book cover is just another doorway. Magic. Like your stories. Thank you. I’ve had that on my list of works to track down, togetherwith The Adjuster’s Dilemma Thanks for republishing it. Thanks for sharing this and brightening my day – loved it! This short story was beautiful – I hope that there might be more in this vein . When I am searching for a new series to read, I randomly open the books I am considering to a page near the middle and read a few paragraphs to see if the authors cadance and style is what I’m in the mood for that day. I would purchase this series immediately knowing that I would re- read it in the not too distant future (between Friday Innkeeper chapters – lol). Thank you for sharing this magical place. I hope that the books that could grow from this spark become a reality. I love it. There is so much sentiment and truth in the story. Thank you! In all the years that I have read your guys work, I never came across this one. It was simply awesome. Thank you. I have always liked this story. You make wonderful magic with everything you write! Somehow I missed this when it was posted. Yes a 2 or 3 e-book series but I know that you all have alot of irons in the fire, but think about it for the future. There’s lyrical beauty to this one. Something more ‘other wordly’ than your others, which is odd given the worlds you’ve created, but there it is. It’s wonderful. For me this a snapshot of a wonderful, lovely moment. It lingers in your mind like chocolate melting on your tongue. Perfect just the way it is. Thank you for sharing it.